Ever since Arrow kicked off the DC TV universe in 2012, fans have learned that few characters are ever really safe. Now that the DC TV universe has expanded to include The Flash and Legends of Tomorrow on The CW and Supergirl on CBS, there are plenty of characters whose lives can be cut short on the small screen no matter whether they are original to the show or legends from the comics. Arrow has been teasing a big death since the Season 4 premiere in October, and executive producer Marc Guggenheim has revealed how DC TV shows decide which characters to kill. For us, it’s always been what is the impact that that death has on all the other characters who don’t die? Can you get more story or great drama out of killing off one character for all the other surviving characters? We internally refer to that as story math. That’s something that we always consider. It’s not about – just to sort of channel my inner internet troll – it’s not about killing off a character to prop up the other characters. It’s what narrative possibilities, what story possibilities does the death open up? Marc Guggenheim’s explanation to EW about what rationale goes into the decisions about who dies and who lives makes a lot of sense considering the first seasons of the three Flarrow-verse shows. Season 1 of Arrow killed off Tommy to set Oliver on a path to stop killing, Season 1 of The Flash killed off Eddie to impact Barry’s way of handling the hero life, and Season 1 of Legends of Tomorrow has killed off Hawkman to open Hawkgirl up to new story possibilities. Frankly, the time has come to start worrying about which of CBS' Supergirl characters might be dying by the end of that show’s first season to impact all the other characters. Of course, given the opportunities for do-overs in the Flarrow-verse, it’s hard to say whether or not any particular death is sure to stick forever. The Flash has used its multi-verse to bring back dead Earth 1 characters on Earth 2. Legends of Tomorrow is using time travel to try to prevent the deaths of Rip Hunter’s family. Arrow’s resurrection fallback, however, was neutralized earlier in Season 4 when Nyssa awesomely took the Lazarus Pit out of commission, so Marc Guggenheim looks like he’s sticking with his earlier assertion that the big death of the fourth season is going to stick. 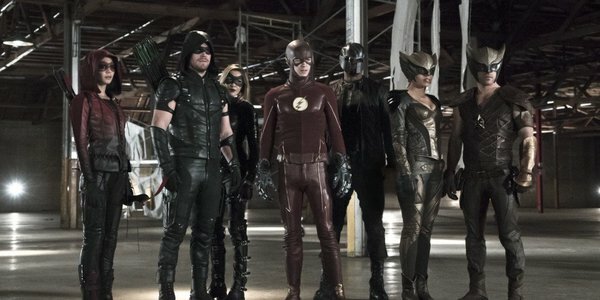 There’s no saying just yet which Arrow character has fallen victim to the latest story math in the Flarrow-verse, but there are a couple of major contenders for the grave whose odds aren’t looking too great. Who knows? Maybe the other DC TV shows have deaths in the works as well that just haven’t been foretold since their season premieres. To find out who the creative team has killed off Arrow, be sure to tune in to The CW at 8 p.m. ET on Wednesdays.